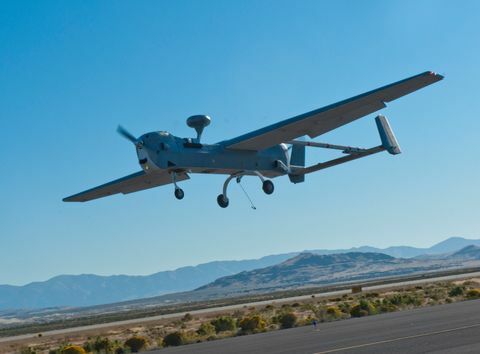 HERNDON, Va. – Jan. 13, 2014 – Northrop Grumman Corporation's (NYSE:NOC) Hunter Unmanned Aircraft System (UAS), in use with the U.S. Army since 1996, recently surpassed 100,000 combat flight hours in service. "Our very close working relationship with our Army customer has been critical to the program's enduring success," said Steve Hogan, vice president and general manager, Integrated Logistics and Modernization division, Northrop Grumman Technical Services. "The team's innovative partnering approach has been seamless over the years. The team has established an impeccable track record of continuous modernization and highly reliable performance while serving on the front lines shoulder-to-shoulder with our nation's warfighters in combat operations." The RQ-5A Hunter was the Army's first fielded UAS. The MQ-5B is the next-generation Hunter, continuing a legacy of service to Army corps, division and brigade warfighters. Flying over the battlefield with its multimission optronic payload, the MQ-5B gathers RSTA information in real time and relays it via video link to commanders and soldiers on the ground. The MQ-5B Hunter is distinguished by its heavy fuel engines, its "wet" (fuel-carrying) extended center wing with weapons-capable hard points and a modern avionics suite. The MQ-5B Hunter system uses the Army's One System ground control station and remote video terminal. 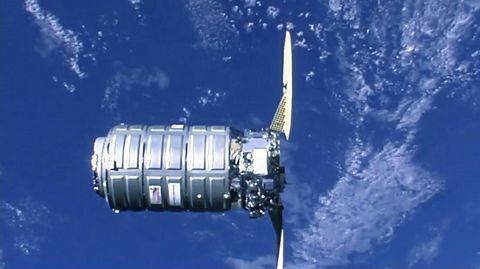 It also carries a communications relay package to extend the radio range of warfighters. 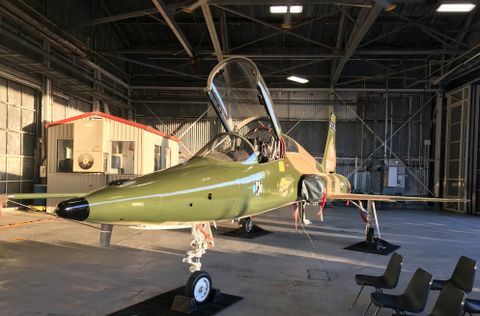 Hunter is also equipped with a differential GPS automatic takeoff and landing system. 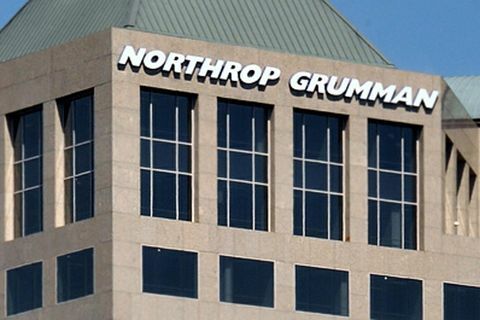 "This significant milestone is a credit to the sustained exceptional high levels of performance and technical expertise, dedication, professionalism and pride of all of our Northrop Grumman engineers, maintainers and operators," said Rob Sova, Hunter program manager, Northrop Grumman Technical Services. "This team lives and breathes our customer's mission and strives to exceed customer expectations every single day." The MQ-5B features a robust, fixed-wing, twin tail-boom design with redundant control systems powered by two heavy fuel engines – one engine to "push" and another to "pull" the air vehicle. Another Hunter capability is its relay mode that allows one Hunter to be controlled by another UAV at extended ranges or over terrain obstacles typical of those found in the Balkans and Afghanistan.